Screen space: You can never have enough. A couple of months ago, I posted out that one of the best productivity investments any information worker can make is increasing desktop real estate. It saves time flicking between windows, lets you always keep your email/support software open, lets you code in full screen and read documentation at the same time. 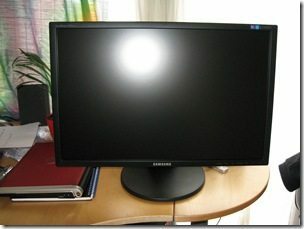 Since I last posted about the Samsung SM2443BW 24” TFT monitor I’ve bought another one. Continue readingScreen space: You can never have enough. “Life without walls”. If there are no walls, who needs Windows? Continue reading“Life without walls”. If there are no walls, who needs Windows? Windows Vista SP1 ready now, come and get it! Windows Vista Service Pack 1 is now available to the public. It can be downloaded either through Windows Update, or via a standalone installer. Windows Vista Service Pack 1 is arguably the most hotly anticipated service release of any software product in history, and promises to make vast improvements in the reliability and performance of the operating system as well as making some changes to support modern and upcoming software and hardware standards. Continue readingWindows Vista SP1 ready now, come and get it! 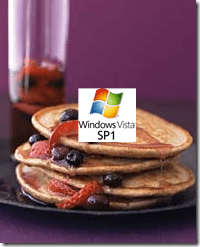 Windows Vista SP1: Ready, but not available yet? Continue readingWindows Vista SP1: Ready, but not available yet?